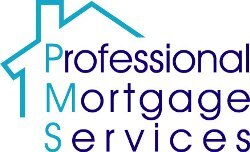 Independent Mortgage Adviser serving Exeter, Plymouth, Taunton, Devon, Cornwall, Somerset & Dorset. YOUR HOME MAY BE REPOSSESSED IF YOU DO NOT KEEP UP REPAYMENTS ON A MORTGAGE OR ANY OTHER DEBT SECURED ON IT Professional Mortgage Services is an appointed representative of HL Partnership Limited which is authorised and regulated by the Financial Conduct Authority. Any information contained herein is a personal opinion of the author and should not be considered to be advice of any kind The guidance and/or advice contained in this website is subject to UK regulatory regime and is therefore restricted to consumers absed in the UK. Personal information will be treated as confidential by us and held in accordance with the Data Protection Act 1998. You agree that such personal information may be used to provide you with details of services and products in writing, by email or by telephone.